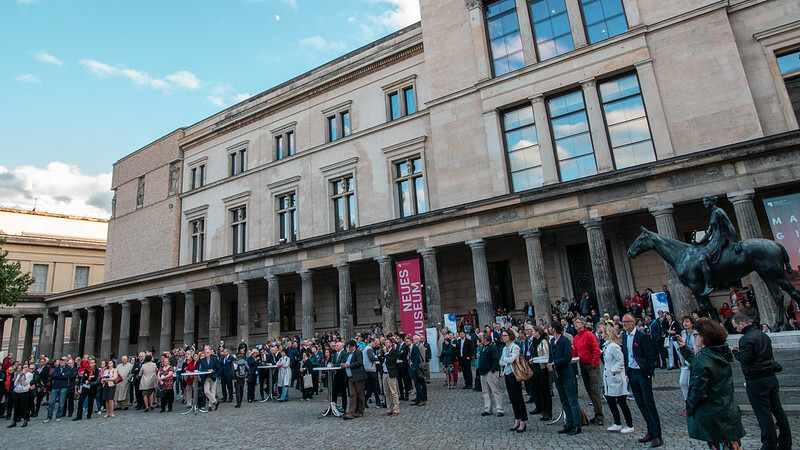 In the evening of 21 June, the UNESCO World Heritage Site of Berlin’s Museum Island staged an exclusive Open Heritage Evening for participants of the European Cultural Heritage Summit. In the Colonnade Courtyard, which is surrounded by the Neues Museum, the Alte Nationalgalerie and the Pergamon Museum, around 500 delegates from all over Europe had the unique opportunity to visit the museums and listen to inspiring musical performances by the Love Tree Sharing Heritage Ensemble and the European Union Youth Orchestra (EUYO). This event provided an ideal platform for participants to network and discover Berlin’s significant cultural heritage. In her opening address, Prof. Monika Grütters, Minister of State and Federal Government Commissioner for Culture and the Media, praised the European Year of Cultural Heritage (EYCH) 2018 and the need to sustain its legacy. “The pulse of Europe is loud and strong wherever the hearts of Europeans beat for Europe. So let us make sure, not only but especially in this European Year of Cultural Heritage, that the cultural richness of Europe and our common cultural heritage make hearts beat faster!”, she stated. Prof. Dr. Hermann Parzinger, President of the Prussian Cultural Heritage Foundation and Executive President of Europa Nostra, and Prof. Dr. Michael Eissenhauer, Director-General of the Berlin State Museums, warmly welcomed the participants. The evening continued with a networking festive reception and remarkable musical performances. On the outdoor stage, 11 musicians of Love Tree Sharing Heritage Ensemble, which was created on the occasion of the EYCH in Germany, performed European folk music from a diverse mix of traditions – ranging from Finland’s Karelia to Northern Ireland, the High Tatra and the Alps as well as sounds from Sicily and Portugal. The Neues Museum hosted exclusive performances by Dutch, German, Irish and Luxembourgish members of the European Union Youth Orchestra (EUYO). Scattered across several rooms in the museum, the musical programme included violin interpretations of Schubert, Shostakovich, Bach and Beethoven under the theme “From Struggle to Resolution”. 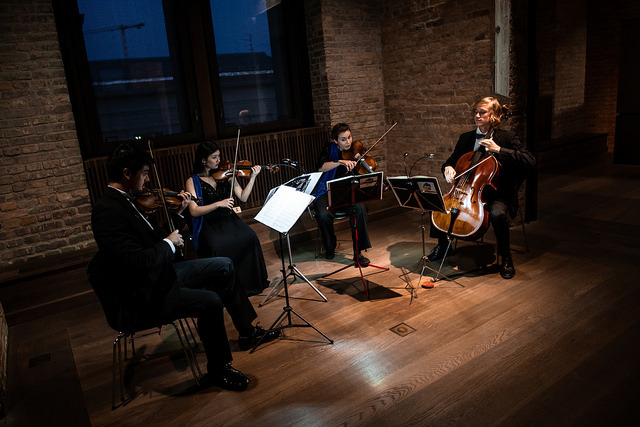 As part of the EUYO’s “Cultural Heritage Music Gallery” project, this concert brought together the intangible sounds of iconic classical music and the tangible art exhibited in the museum. 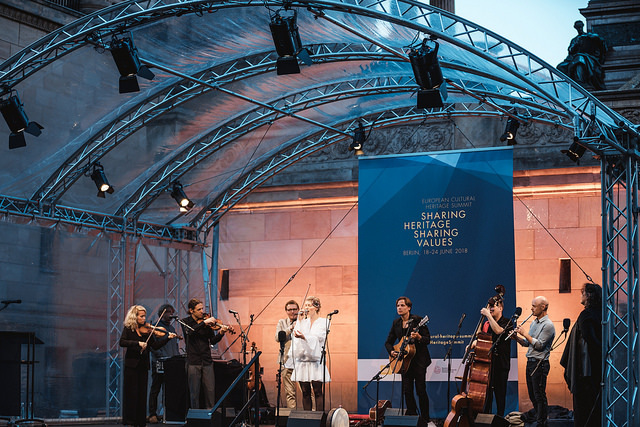 The Open Heritage Evening was organised by the Prussian Cultural Heritage Foundation (SPK), Europa Nostra and the German Cultural Heritage Committee (DNK), with the support of the European Commission and the Representation of European Commission in Germany.